“Rise of the Fellowship” (formerly “The FellowsHip: Rise of the Gamers”) is an upcoming film from Opening Act Productions. It follows the conventional “loser,” Randall, who just can’t seem to catch a break from anyone – his mother and older brother, his peers at school, and not even his nerdy boss at Game Parlor. All of that stands to change, however, when he and his friends set out on a journey to right a wrong, making new friends along the way and forming an unbreakable fellowship of gamers. 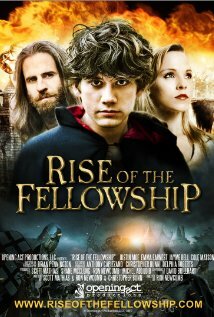 Unlike most independent films I’ve seen, “Rise of the Fellowship” rises above the norm and above my own expectations. The acting and cinematography alone are of a much higher quality than a number of films I’ve seen lately, including those coming straight out of Hollywood. I was particularly impressed by Justin Moe (Randall) and Wolf J. Sherrill (Baba Melvin), the latter being my favourite character in the film. While it pays many a tribute to J.R.R. Tolkien’s books and Peter Jackson’s films, “Rise of the Fellowship” is not simply a “Lord of the Rings” knock-off. 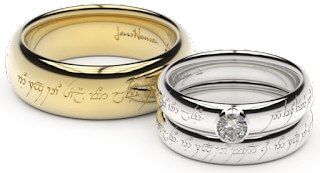 It is a well-written, family-friendly comedy that will appeal to a variety of audiences and is a must-see for any fan of “The Lord of the Rings” and The Lord of the Rings Online. “Rise of the Fellowship” is currently available for pre-order on Amazon and will be available at your local Wal-Mart, as well as iTunes and Video On Demand, on December 3.